Happy Valentine's Day everyone! 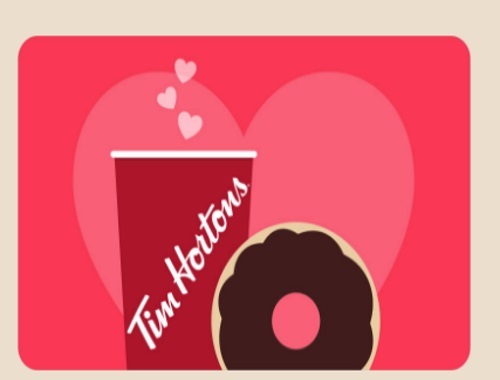 We thought we would celebrate today by giving away a Tim Hortons Tim Card to one of you! Enter by following the directions on the form below to win a Tim Hortons $10 Tim Card! Contest closes Wednesday, February 15, 2017 at 3am ET. The winner will be announced on Wednesday afternoon on our Facebook Page.